On 10-16 October 2015, our company is present at the most important event in the global pharmaceutical industry, Chemical and Pharmaceutical Ingredients Worldwide “(CphI Worldwide), held this year in Madrid. Under the anniversary message of the 60th year of existence, Inspiring past, promising future”, our company is present for the 13th time at this international fair of pharmaceutical products and ingredients, with the objective of boosting the international business relationships by strengthening the existing partnerships, but also by identifying new development opportunities on the international markets from areas like South America, South Africa and the Arab countries. Delegation of our company represented by Mr. Ioan Nani, our CEO, consisting of a 14-expert team in the fields of research-development, import-export and business development has 170 business meetings with partners from multinational companies regarding the sales strategies and the ways of developing the pharmaceutical forms and therapeutic classes from our company’s portfolio. The business meetings conducted at the CPhI and our participation, along with other 2,000 exhibitors from all the pharmaceutical industry represent for Antibiotice the main engine for consolidating and developing our international business, but also the place where we can identify new sources of raw materials and inform about the latest trends and changes in the international pharmaceutical market, recognized as one of the most dynamic sectors of the world economy. “Earlier this year, we announced our participation at this fair and our meetings with business partners from multinational companies regarding the sales strategies and ways of developing new pharmaceutical forms and creating viable opportunities for investing in new manufacturing capacities. 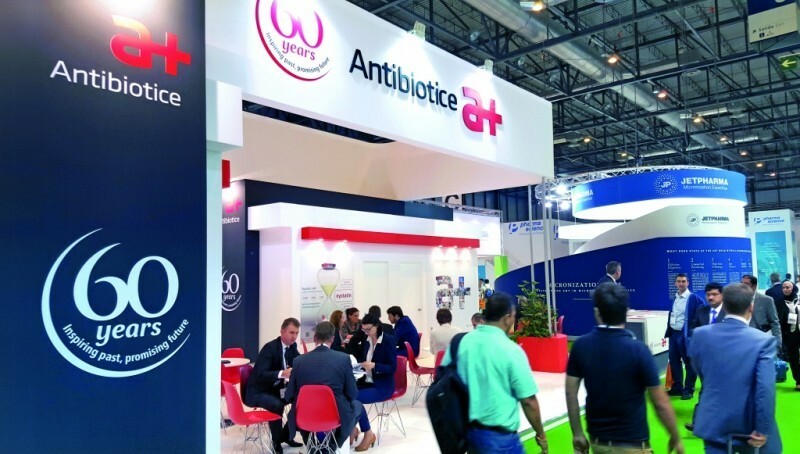 This gives Antibiotice the prerequisites to reach a turnover of 470-500 milioane RON in 2020, 30% of which achieved on the foreign markets, “said Ioan Nani, Antibiotice CEO. Currently, most of Antibiotice’s exports reach EU and Souh-East Asia markets (25 % each of them) and another 15 % of the medicines manufactured for export reach the US market.